Both countries were involved in a war of words recently with leaders from both sides exchanging sharp comments. After seeing rut between India and Pakistan in pas few days finally we got a peace message from foreign office of Pakistan. Pakistan wants dialogue with India to resolve all outstanding issues and welcomed all efforts to normalize bilateral ties, days after the two prime ministers spoke to each other amid a war of words between the two countries. Foreign Office (FO) spokesperson Qazi Khalilullah said at weekly briefing that Pakistan wants to resolve all outstanding issues with India through dialogue. 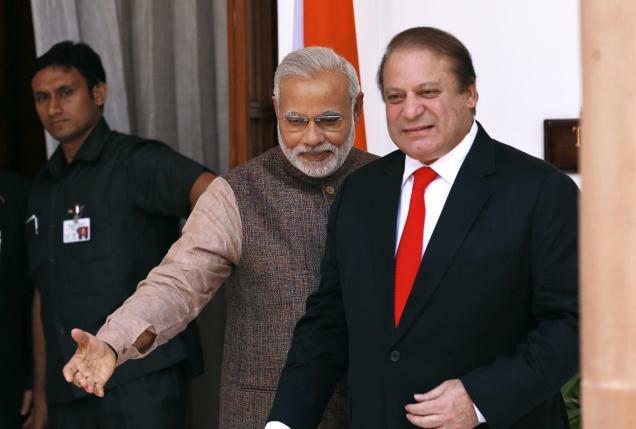 Referring to the telephonic talk between Prime Minister Narendra Modi and his Pakistani counterpart Nawaz Sharif on Tuesday, the spokesman said Pakistan welcomes all efforts to normalize bilateral relations. "We are committed to having good relations with all neighbors in the region but the serious issues between India and Pakistan should be resolved through dialogue," he said. When asked whether Pakistan had contacted the international community on Modi's statement on India's role in the breakup of Pakistan during the 1971 Bangladesh liberation war, he said the country will take all appropriate actions and measures to protect its national interest. He said arrangements were being made to bring the Pakistani fishermen who are expected to be released following the announcement by Modi. Prime Minister Sharif last week attacked the "irresponsible and imprudent" statements from the Indian political leadership and had vowed to protect his country's "vital interests at all costs". Minister of State for Information and Broadcasting Rajyavardhan Singh Rathore had said in the wake of India's military action in Myanmar that it was a message to other countries which was interpreted as a warning to Pakistan. At this moment when world had witnessed horrific consequences of wars, peace building arrangements are need of the time. The good ties with neighbor will not only increase security but will help to strengthen the economy as well.